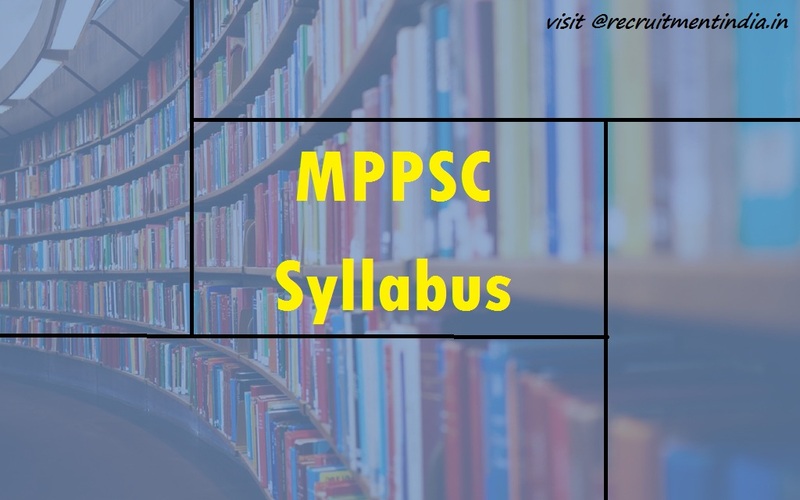 MPPSC Forest Ranger Syllabus 2018 are given to the MPPSC State Forest Service Examination 2018 for both prelims and mains examination of Madhya Pradesh Public Service Commission has added at the main website @ www.mppsc.nic.in. Check or start to download the Exam Syllabus and Pattern of Madhya Pradesh FR Services, Read this article to know more status at here. Today we are going to sharing the latest news from the side of Madhya Pradesh State, the latest news is about of the Forest Officer recruitment notification sack. Those who had registered to this recruitment cell of Madhya Pradesh Public Service Commission, they can check this news about of MPPSC FR Syllabus 2018 along with that you can also get the MPPSC Forest Ranger Exam Pattern 2018-19 for both exams of Prelims and Mains Examination sack. The links are offered in the below section. The job seekers who had registered to this MPPSC Recruitment of 106 Forest Ranger Notification panel. Now, the official has offered the MPPSC Forest Ranger Prelims Exam Syllabus 2018 the written test was held on 18th Feb 2018. Now it’s time to check the Madhya Pradesh PSC FR Mains Exam Syllabus 2018-19 from the given links in the below section. The dates of mains examination are not given not. History of Indian and Independent India. General Geographical Awareness of World. Geography, History, and Culture of Madhya Pradesh. Polity and Economy of Madhya Pradesh. The Protection of Human Rights Act, 1993. SC & ST (Prevention of Atrocities) 1980 (No. 33 of 1989) and the Protection of Civil Rights Act, 1955 (No. 22 of 1955). Interpersonal Skill including Communication Skill. Hindi Language Comprehension Skill (Class X Level). Basic Numeracy and Data Interpretation. History of India and Independent India. प्रयोग, शब्दावली तथा प्रारंभिक व्याकरण. प्रतिवेदन- (प्रशासनिक, विधि, पत्रकारिता, साहित्य व सामाजिक). Programmes of State Government in the field of Culture. Natural Resources of Madhya Pradesh. Administrative Structure of Madhya Pradesh. Rural and Urban Administrative Structure. Simple Formula and their use factors. Simple Problems with Heights and Distance. The MPPSC State Forest Service Exam Pattern is updated in the tabular format. There will be total 100 question and each question carries 2 marks. The question paper will be bilingual i.e., Hindi or English.